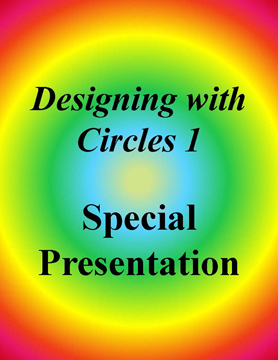 Our Designing with Circles 1 Special Presentation is a downloadable 35 minute audio slideshow. 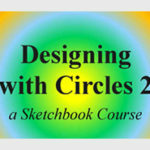 The content of this presentation was developed in conjunction with an online question and answer session held for students who were working with Designing with Circles 1, one of our self-paced sketchbook courses. 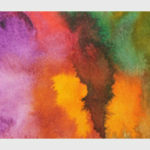 Students sent in photos, comments and questions about their course work. Gail then addressed these questions, analyzed what was occurring in the designs, and made suggestions about the work and additional approaches to designing. There is great value in looking at examples, taking in additional ideas and developing the accompanying analytical skills. This presentation provides an opportunity to look, to consider, and to be inspired to try new things when Designing with Circles. Delivery of Presentation: Within 24 hours of purchase, you will receive an e-mail to access and download the presentation. Please Note: for purchases after 4:30 p.m. on a Friday, you will receive your e-mail on the morning of the following business day (in most cases the following Monday).